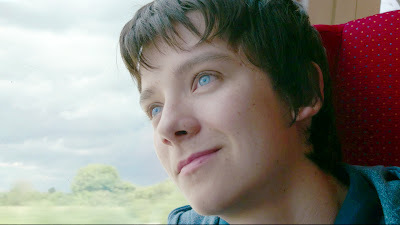 So he may have lost out on the Spider-Man role to Tom Holland but Asa Butterfield has plenty to keep himself busy. Over the next few months you'll see the Hugo star in Tim Burton's Miss Peregrine's Home for Peculiar Children, as well as the sci-fi romance The Space Between Us, two wildly different films that show his growing range. And this is coming off a strong recent performance in A Brilliant Young Mind. Now Butterfield is joining another promising project, a coming-of-age ensemble titled The House of Tomorrow, dealing with real-life inventor and futurist, R. Buckminster Fuller. Butterfield, Nick Offerman, Alex Wolff, Ellen Burstyn, Maude Apatow, and Michaela Watkins are starring in the film, the writing/directing debut of Peter Livolsi. The film is based on the novel by Peter Bognann which takes place in Iowa "where a teenage boy lives in a geodesic dome with his eccentric grandmother, who has spent the last 11 years homeschooling him on the teachings of Fuller. When his grandmother has a stroke, he’s forced to leave the dome and discover what it means to live a normal life." Filming is underway now so we may see this in theaters next year.